Title name of the book is “A History of Western Political Though” Written by J.S. McClelland. A History of Western Political Thought is an energetic, engaged and lucid account of the most important political thinkers and the enduring themes of the last two and a half millennium. J.S. 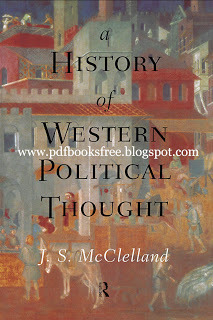 McClelland traces the development and consolidation of a tradition of Western political thought from Ancient Greece through to the development of the modern state, the American Enlightenment, the rise of liberalism and the very different reactions it engendered. He discusses how a tradition beginning before Socrates might be said to have played itself out in the second half of the twentieth century. password to open the file?